Tom Petty and the Heartbreakers are an easily underestimated band. 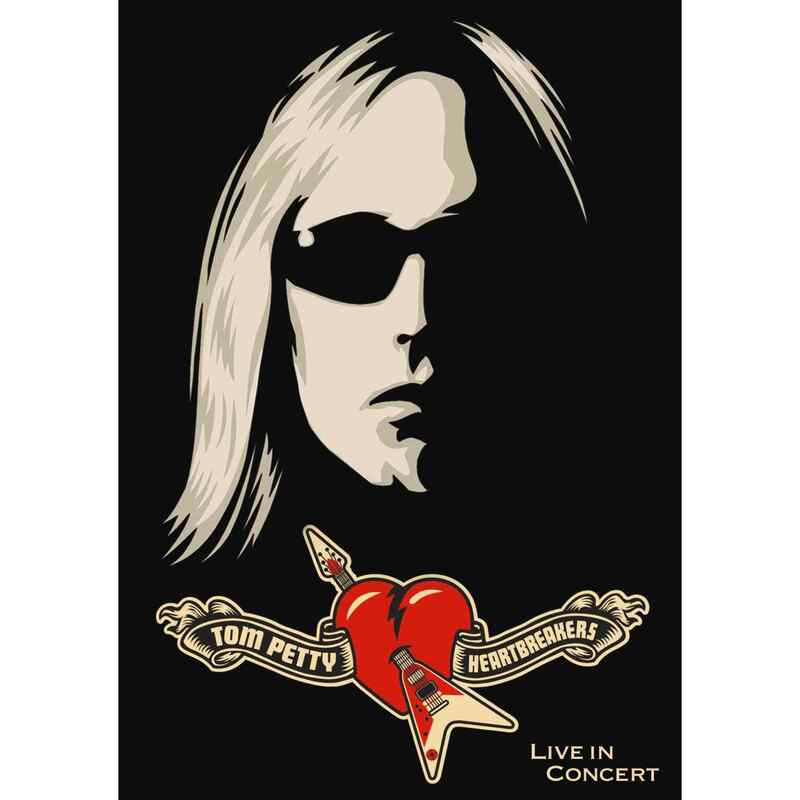 At 63 with a head of enhanced long blonde hair, Petty speaks in a southern drawl reminiscent of a teenaged gas station attendant mid bong-hit. He’s been relevant long enough for his concert crowds to resemble an Ikea gathering on a Sunday afternoon; ages range from 20 to 70. His songs, given a superficial spin, can seem rote and banal. Take the three chord intro to “Free Falling” .. how much could possibly be going on here? This is the mistake that some make with Petty. While it might be cool to dismiss the band as postdated album rock poseurs, circling the crowd at one of his outdoor mega shows (as I did Saturday night at Boston’s Fenway Park) reveals otherwise. Unlike his contemporary Springsteen, Petty’s lyrics rarely lean on the specific or political. They often have an ethereal, idiosyncratic quality that jars loose images and memories specific to the individual listener. At least this is how it seemed to me looking at different folks in their own little world grooving to the verse: ‘gonna free-fall, out into to nothin’ / gonna leave this, world for a while.’ It’s “under” music, and his has always been an “under” band. Nothing they do pulls you out of the experience or calls unneeded attention to the individual musician. Mike Campbell has been playing the same outro guitar solo note for note on “American Girl” for 27 years. It isn’t because he can’t improvise; he’s as good as they come. His style fits and fills a certain niche in the listener’s brain and allows for anticipation and reward with each played note. I’m not a huge fan of greatest hits acts but Petty falls into the category by simple virtue of his songwriting skills. One is hard pressed to find an album over his forty year career that doesn’t feature at least one or two massive singles. And while Pete Townshend at 69 might have trouble standing behind lyrics like “hope I die before I get old,” Petty can still snarl out “everybody’s got to fight to be free” without a hint of irony. Watch the 1978 New Year’s Eve rendition of the tune in question (“Refugee”) as played in Santa Monica, California. It holds up now for the same reasons it held up then. Producer Jimmy Iovine speaks of Petty’s songwriting skills on his breakout album “Damn the Torpedos” with reverential awe. But the amazing part is that he kept right on going. “Mary Jane’s Last Dance” was a throwaway track that Petty resented having to come up with as an ‘extra’ for a contractual greatest hits album in 1993. Now the lyrics seem ingrained in a certain segment of the American lexicon .. “I feel summer creepin’ in, I’m tired of this town again.” Yeah he’s popular and mainstream, but using this as grounds for dismissal is to miss the point entirely. “Angel Dream (No. 2)” was a favorite for me Saturday night. It was one of the more obscure hits played, from 1996’s “She’s The One” soundtrack: “sing a little song of loneliness, sing one to make me smile / another round for everyone, I’m here for a little while.” And so it was he slid off into the night with fireworks exploding over the Green Monster, above my head in left field. It’s been a deceptively long and successful career for Petty and good for him if he’s cashing in on the riches at this stage. He’s left behind enough to enjoy for a long while. This was written by admin. Posted on Tuesday, September 2, 2014, at 4:11 pm. Filed under Posting. Bookmark the permalink. Follow comments here with the RSS feed. Post a comment or leave a trackback.